The magic bag. Elimination Of Unpleasant Odor Was Never So Easy! 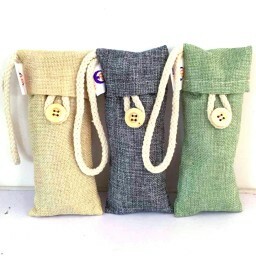 THE MAGIC BAG- Elimination Of Unpleasant Odor Was Never So Easy!If odor were visible, you would wish to see gardens only as unpleasant odor never appeals any nose. Do you not wish to make your home; car and the traveling experience smell good? Here is a product for you that cannot only spray good smell in the environment, but will also add pleasant ambiance. If you are expecting any guests at home and want to eliminate the smell that is around your sitting area, then you are in need. If your girlfriend is asking for a ride and your car doesn't smell good, even then you are in need. This magic bag truly contains a magic in it. 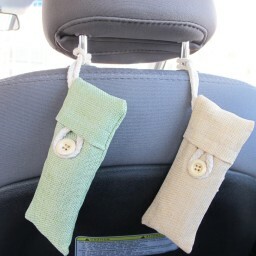 It has natural bamboo charcoal air purifying bags that pledges to eliminate unpleasant odor naturally. Our cute design bag can be used in many areas in the house or office like fridge, closet, Luggage, shoes cabinet, kid's room, pet area, gym bags & car. Even if you are traveling to somewhere and you experience bad odor, it will become really difficult for you to pass the time. Grab some for your vehicle too. *NATURAL AIR PURIFICATION: It eliminates the odors, allergens & harmful pollutants. 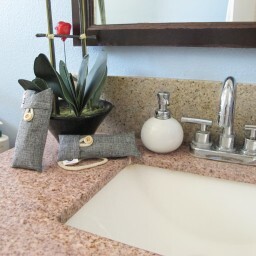 *PREVENTION FROM MOLD & BACTERIA: Get rid of molds and mildew & activated charcoal odor with its use. *ECO FRIENDLY & NATURAL: It is 100% eco friendly and very long lasting & can be reused. No chemical used in the product. Completely non toxic. *SAFE & ODORLESS: Safe to use around people and pets. *CREATE HEALTHY ENVIRONMENT: Effectively block electromagnetic radiation.